I love tea time! Call me a New England snob but I simply must have my biscuits with my tea or coffee, yes even in awesome-city-with-disgusting-weather Boston. When the winter wind blows, I'm reminded of a biscuit's tale of Viennese Sandwich, Hobnob and the Pink Wafer. One day, Pink Wafer invited Viennese to his house for Thanksgiving. Viennese accepted the invitation as she knows Pink Wafer's niece, Florentine. Viennese and Florentine were pals at Le Cordon Bleu. Viennese was the perfect guest - charming, polite, and she even played with Pink Wafer's kids, Garibaldi and Oreo! Viennese was talking to Hobnob, Pink Wafer's mother about her family. Suddenly Hobnob's eyes lit up. Hobnob called out to Pink Wafer across the room. Hobnob: Did you know who Viennese's great-grandfather was? It was the distinguished Shortbread! If it's not for Shortbread who helped us, we won't have a house, Pink Wafer! Pink Wafer looked uncomfortable. He changed the topic of conversation. Viennese wanted to know more but she kept mum. When Viennese returned home, she called Uncle Chocolate Bourbon. 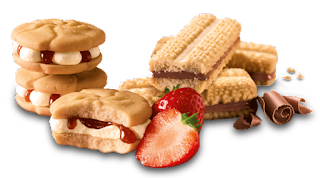 Viennese: So it's true that Shortbread helped Hobnob and her family a great deal. Why didn't you tell me this earlier? Chocolate: There's no need. Why should we go around and tell people the good things that our family did? Viennese felt an increasing respect for Shortbread and even Chocolate. None of them ever used Shortbread's kindness as leverage against Pink Wafer who is the current Minister in-charge of Biscuit Affairs in Gateau Land. Even after Pink Wafer knew of Shortbread's kindness towards his family, Pink Wafer treated Viennese with sudden disdain and animosity? Why? Viennese never knew the reason. 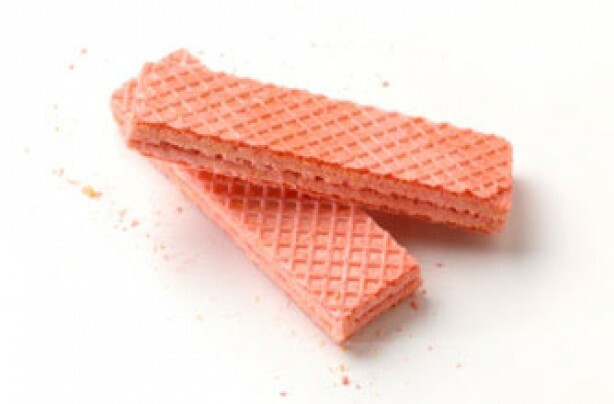 They say the Pink Wafer is the worst biscuit in the world. I guess he shares that honour with a particular brand of Cream Cracker. I, Daria Morgendorffer, like many others, hate the Jacob biscuit type. Yucks.